McALLEN — Dubbed Game Chica, Saturday’s daylong conference here, which was designed to foster curiosity in what was once considered unconventional interests for young women, provided an opportunity to combat perceptions about the gaming industry being more popular among males than females. 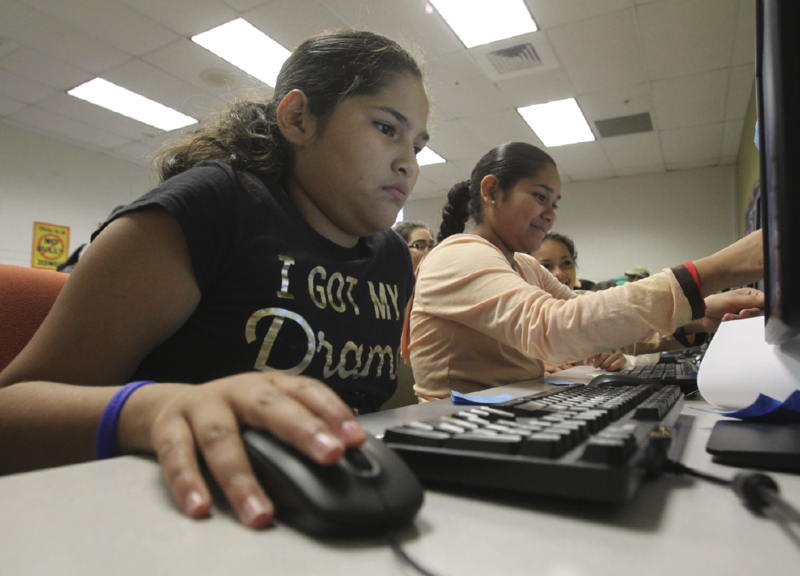 If by extension the Austin-based nonprofit Latinitas, in partnership with the Boys & Girls Club of McAllen for the event, aimed to encourage girls to pursue interests in technology, then mission accomplished. 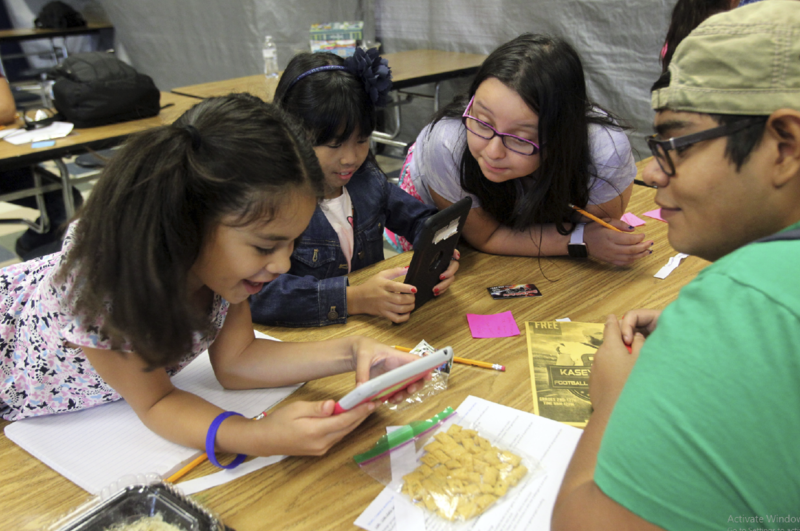 According to a news release, Latinitas “presents enrichment programs at Texas schools, libraries and community centers that use culture as a thread” to teach girls about topics ranging from photography and blogging to app development and graphic design. On Saturday, Butanda and others from the organization spent the day at the Boys & Girls Club’s Roney Center in McAllen with a group of about 50 local girls. They learned about the foundation of games, talked to local technology professionals and got to create their own video game. McAllen club CEO Dalinda Alcante said after speaking with the program coordinator, she felt the mission of Latinitas was similar to what Club aims to accomplish. She wanted to bring Game Chica to the Rio Grande Valley for the first time to show girls living here what potential they have and the support from their community to pursue what they enjoy. The event began with a presentation by Megan Strait, the only female professor of computer science at the University of Texas Rio Grande Valley. Strait said despite the perception that boys are the main market for video games, almost half of all gamers are actually girls. However, men make up the majority of representation for video game developers, and there is less female representation in games as a result. “Games with women and women of color protagonists are still in the minority, and the number of women working in the gaming industry remains low,” the Latinitas release stated. That’s why Strait encouraged the event’s participants to “code like a girl” and use technology to make games they would enjoy. She emphasized the importance of providing a space where girls can ask questions about subjects others may not typically see them in. “It’s about providing a space where they can make mistakes without thinking it represents their entire gender, where they can engage without negative social bias,” Strait said. When asked if it was difficult being a woman in the technology industry, Strait said it can be both hard and rewarding. “We need to be creators instead of just being consumers,” Alcante said. Butanda said while there are many other organizations dedicated to empowering girls, Latinitas is unique because they invite girls to explore how technology and media has an impact on their culture, identity and gender. And although not every girl will be interested in the topics covered at Game Chica, Butanda believes everyone who participates can still find value in it. Two girls at the conference, cousins Angela Hernandez and Giovana Amador, enjoyed creating their own online video game. Through Scratch, a website that allows users to create their own programs, the pair tested out different backgrounds, characters and animations. Hernandez, 11, said she plays video games on various consoles. Earlier in the day when they were tasked with creating their own game, her idea involved elves and magic. Amador, 12, said she also plays games but does not want to pursue technology as a career. However, she said creating her own game made her feel “intelligent,” and she would come back if Game Chica were in the Valley again.